Oregon Zoo for the win! The Oregon Zoo is a great fun-filled place to take the whole family. It’s best to plan to be there the whole day, especially if you want to see ALL the animals (as most children are as ambitious as that). Feel free to pack and bring your own lunch and snacks in a cooler, or you can buy food and refreshments there. Hours change seasonally, so check online here for spring/fall/winter hours. Summer hours are below. SUMMER HOURS ( May 25 –Sept 2nd) are 9 a.m. -6 p.m. Parking is $4 per car. 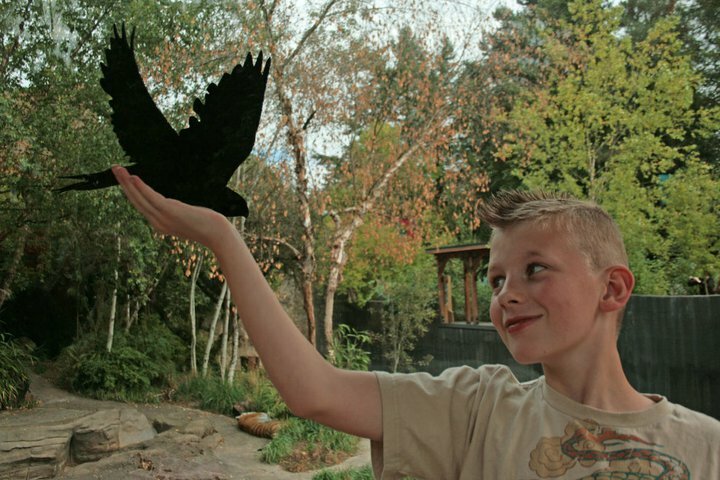 *My oldest son at the Oregon Zoo* Don’t forget your camera! The zoo is a GREAT place to take pics! Use public transportation to get there, show your receipt at the window and get $1.50 off admission. If you visit the Oregon Zoo on the second Tuesday of each month, it’s only $4 admission! BONUS FUN! Pick up a “Zoo Key” for only $2.50, and unlock the secrets of the zoo! Use your zoo key in the animal talk boxes located on the zoo grounds. You can learn more about bats, black bears, chimpanzees, bald eagles, elephants, giraffes, mandrills, mountain goats, naked mole rats, otters, penguins, polar bears, rhinos and zebras. This is a great interactive way for kids to explore the zoo. * Hours, admission prices, and discount days are all subject to change. Please check online HERE before your zoo trip!